Mezzo Condos are perfectly situated between Midtown and Buckhead and is a whole new way to experience the best of Atlanta. With only 94 unique condominium homes, Mezzo offers an exclusive boutique lifestyle unlike anything else. Mezzo Condos feature floor-to-ceiling windows, hardwoods, granite, Viking appliances, 24-hour security, valet, pool and massage room. 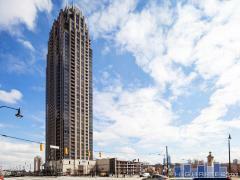 Have any comments or questions about Mezzo Condos? Ask your question and/or share your thoughts about this Building.